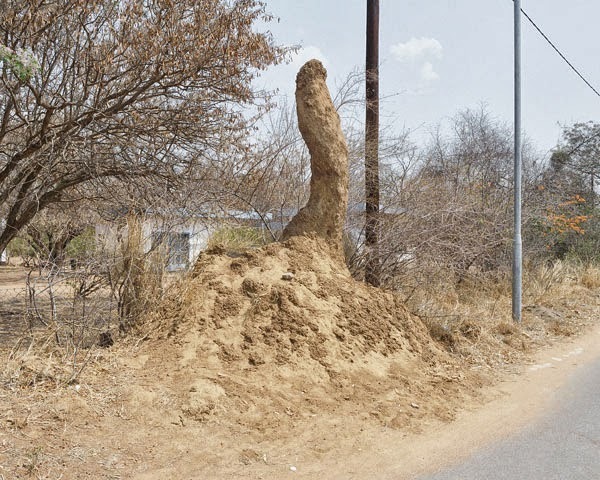 Photos of giant termite mounds in Botswana that are considered a resource more than a nuisance. 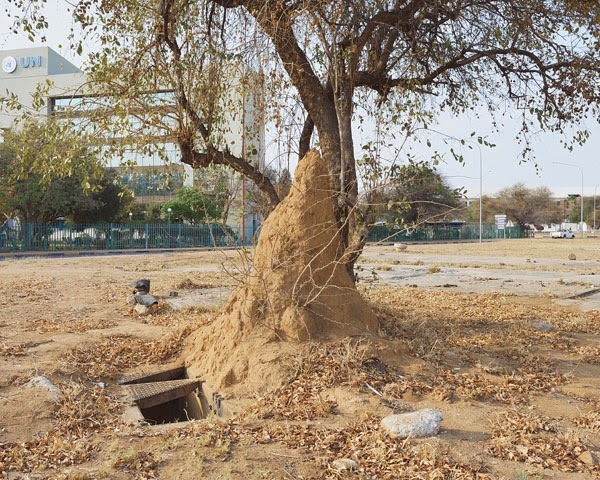 In Gaborone, Botswana, people and termites share the same city neighborhoods. 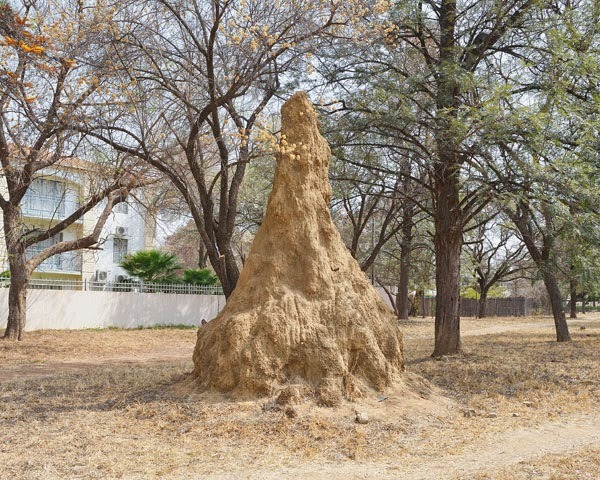 Giant termite mounds dot the urban landscape, some rising up as high as the houses that surround them. 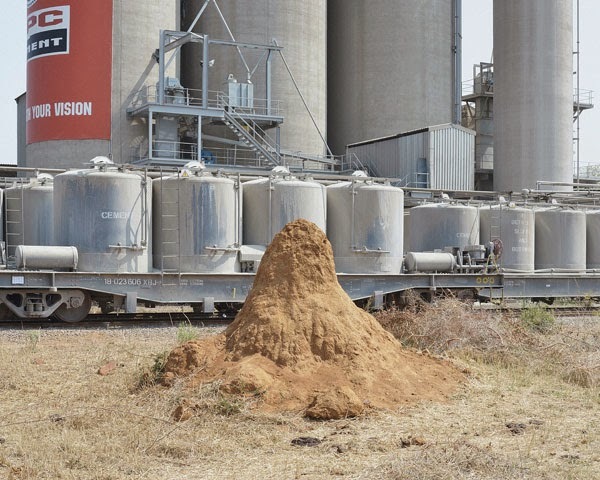 Not only do people and termites share the same territory, but the mounds also serve as a resource – calcium rich clay chipped off from these enormous stacks is used as a mineral supplement for pregnant women, and the insects themselves are sometimes collected and eaten. 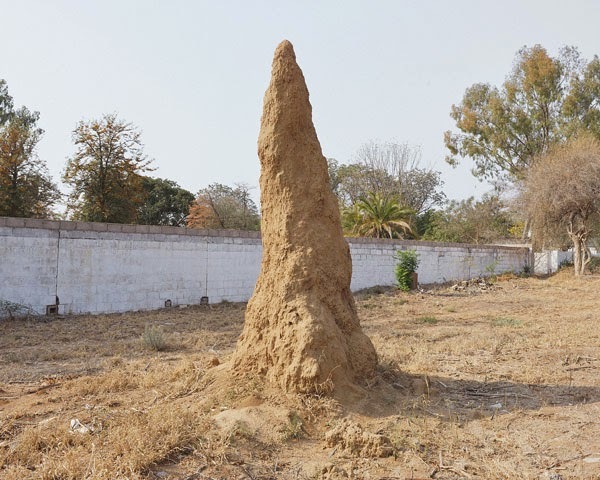 This doesn’t seem to have a substantial impact on the termite populations or their homes. 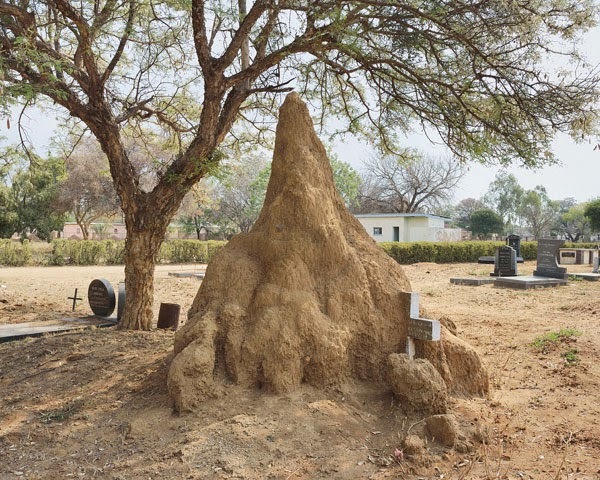 They rise mostly unhindered from the landscape, often engulfing nearby trees and smaller man-made structures.